All people taking part in an Africa Wild Trails Ltd programme are hereafter referred to as ‘the clients’. Once a programme has been agreed between Africa Wild Trails Ltd and the client a Booking Form and Agreement must be completed and signed. Facilitators in South Africa may require Indemnity Forms to be completed by all clients. In the case of minors, the legal parents or legal guardian must sign. These will be completed prior to departure. The client agrees to be bound by these conditions. No agent, representative or client of Africa Wild Trails Ltd has any right to alter, vary or waive any of these conditions. Once a programme has been booked a Payment Schedule will be sent out. This Payment Schedule will have been agreed between Africa Wild Trails Ltd and the appropriate person in authority in the clients organisation. The balance of the programme cost is payable in full six weeks before date of programme departure. If the balance is not paid by the due date, Africa Wild Trails Ltd reserves the right to withdraw the programme in its entirety and no refund will be due. If a client books a Programme six weeks or less before the departure time then full payment is due at that time. Booking Forms, Agreements and Payment Schedules must be signed and returned to Africa Wild Trails Ltd within one month. Any notification of cancellation must be in writing. The date on which the letter is received by Africa Wild Trails Ltd will be taken as the date of cancellation or date of change request. Less than 90 days before departure 100% of total program cost is retained. Africa Wild Trails Ltd reserves the right to cancel any programme. In the event of a program being cancelled for whatever reason, the client may choose a full refund of monies paid, less any used services (ie completed training costs), or alternatively any other programme that Africa Wild Trails Ltd is in a position to offer. No further liability by Africa Wild Trails Ltd to the client with regard to the cancellation will arise. In the event of a client failing to join a programme at the departure time, joining after departure, or leaving prior to completion, no refunds or liability will be accepted by Africa Wild Trails Ltd. If a client leaves prior to completion, they must sign a release form and their participation in the programme will be cancelled. The release form will be held by facilitators in South Africa. 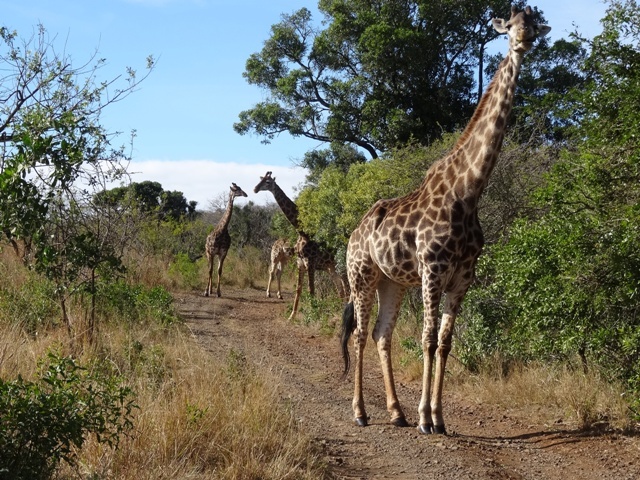 Africa Wild Trails Ltd does not accept any liability arising out of changes to itineraries, or any other matters relating to a programme, due to factors outside its control. These factors include wars, strikes, weather, political disputes, border closures, delayed flights, etc. Any expenses incurred by the client arising out of these changes are for their own account. All clients must be in possession of insurance, a valid passport, together with any necessary visas or required vaccinations, and the client accepts full responsibility for obtaining these. Any information or advice given by Africa Wild Trails Ltd with regard to the above is given in good faith, but Africa Wild Trails Ltd can accept no responsibility for the information given. Should a client be refused entry to any country due to incorrect or incomplete documentation, Africa Wild Trails Ltd will not be held liable for any costs of such delays or repatriation costs for the client. The client accepts that at all times the decisions of the programme facilitators in South Africa will be final on all matters likely to endanger the safety and wellbeing of the client. During a programme should a client, in the sole opinion of Africa Wild Trails Ltd or facilitators in South Africa be considered unsuitable for the programme for any reason including, but not limited to, being in contravention of any rules, guidelines, code of conduct of the programme as set out prior to departure or from time to time during the programme or any customs, laws of South Africa, or by reason of causing difficulty, inconvenience or annoyance to any other clients, staff or management, then facilitators in South Africa reserve the right to stop the client continuing on the programme. In such circumstances, transportation to the departure airport will be provided. Africa Wild Trails Ltd and it’s facilitators in South Africa will not be liable to make any refund to the client, and no other liability by Africa Wild Trails Ltd to the client will arise. Africa Wild Trails Ltd will not increase the cost of any programme as a result of increases in fuel costs, park entrance fees or fluctuation of exchange rates. The Programme cost signed for in the Agreement will be the final cost. Africa Wild Trails Ltd, therefore, agrees to pay any extra costs due to increase in fuel costs, park entrance fees and exchange rate fluctuations after the Agreement has been signed. Clients are bound by the aforementioned terms, conditions, policies and procedures and enrolment information must be complete and accurate. Any false declaration would render any claim whatsoever void and the client could further be held liable for prosecution by the laws governing the UK or South Africa. 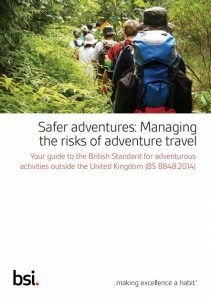 Any activities you choose to take part in that are not included in your Africa Wild Trails Ltd programme are at a client’s own risk and Africa Wild Trails Ltd is indemnified against any claims whatsoever that may arise in connection with any injury, loss or damage during the activities at each destination or transport to and from each destination, in the knowledge that Africa Wild Trails Ltd and our in-country facilitators can only mitigate against risks we are aware of. Costs incurred when outside of tour Africa Wild Trails Ltd programme in respect of any accident or illness which, in the opinion of the authorities, requires medical attention, are the client’s liability. Any client found to be defaming the Africa Wild Trails Ltd programme or the character of any program South African facilitator personnel will immediately be asked to leave the program without a refund from Africa Wild Trails Ltd.